Fruitless Pursuits: The Book Was Better Podcast Episode 28: Avatar the Last Airbender! The Book Was Better Podcast Episode 28: Avatar the Last Airbender! The Book Was Better is the podcast where Jessica and I read crappy movie tie-in novelizations and then discuss, debate and make dumb jokes about them. We think we’re soooooooooo smart! 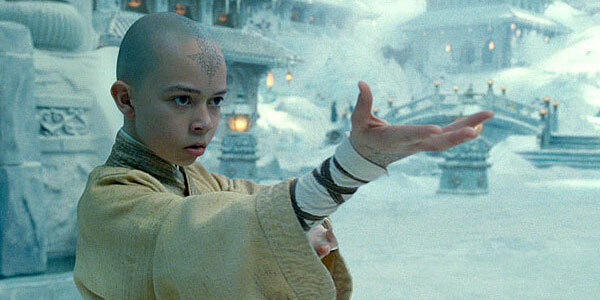 Well, this episode’s book/film is the notoriously awful, unwatchable, fan-traumatizing travesty that is M. Night Shyamalan’s Avatar: The Last Airbender. If you ever wanted a sense of the atrocities that are committed in that film without having to actually watch it or read about it, then Jess and I have you totally covered. We’re here for you, friend! Set sail for disappointment! PUT US IN YOUR EARS!